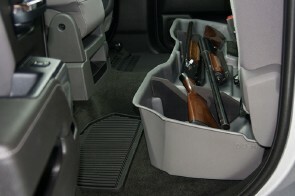 Allows you to store your guns, hunting gear, power tools, rain gear, chains, jumper cables, etc. 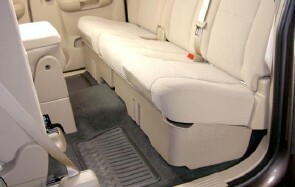 safely and securely under the back seat of your pickup truck. 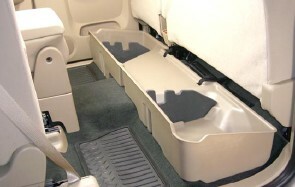 Constructed of heavy duty polyethylene and is virtually indestructible. Backed by a lifetime warranty.